More and more shoppers are searching on mobile, but the same promotions that convert on desktop won’t necessarily entice this audience. 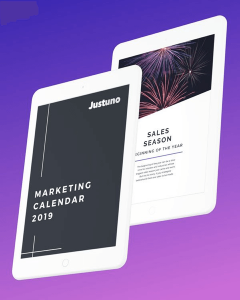 Use Justuno’s mobile-specific promotions to make the most of this smaller screen, fire promotions with mobile-friendly targeting rules and convert more of this growing audience. Forget about search engine penalties. Justuno mobile pop-ups aren’t considered ads and have no negative impact on your site’s SEO. In fact, they could help reduce your bounce rate and average time on page. Don’t present the exact same offer on mobile as you do on desktop to visitors. Deliver a unique experience every time they land on your website using Justuno’s cross-device tracking and visitor profiling technology. Avoid a frustrating user experience with pre-built templates designed specifically for mobile.Create mobile promotions that take over only a portion of the screen and have optimal targeting rules baked-in by default. Mobile traffic is increasingly taking over the e-commerce industry, especially with Google’s move to a mobile-first index. 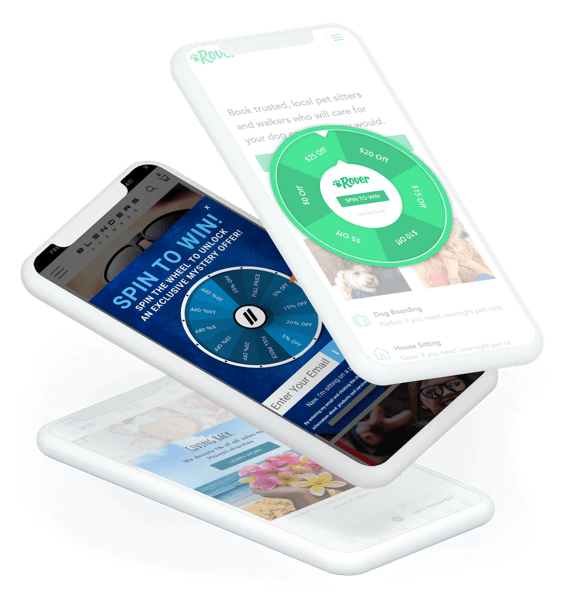 Without mobile-optimized pop-ups, you’ll not only lose out on these potential customers, but you might also present an annoying mobile experience. 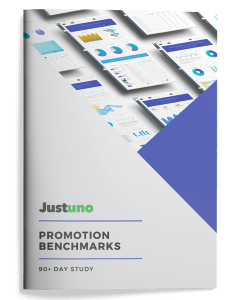 Justuno gives you more flexibility and functionality for mobile promotions than other conversion tools, ensuring your promotions are providing the best possible user experience. Make sure you’re making the most of those tiny screens with mobile-specific pop-ups. Simplify the mobile checkout process. If your website drives a strong amount of mobile traffic, then a focus on mobile promotions is critical. Driving traffic from Instagram and Facebook ads? Use mobile promotions that display the same unique coupon code over from your ad to make the checkout process as easy as possible for visitors. Utilize scarcity and urgency incentives by pairing this banner with a countdown timer to encourage shoppers to do more than just browse, but also check-out. During the 2018 Black Friday Cyber Monday weekend, Justuno clients had a 22.65% average mobile conversion rate. More than just pop-ups, Justuno offers a wide selection of conversion marketing features. Check out some of our favorites below. From Facebook Messenger and SMS updates to pop-ups and push notifications — deliver targeted messaging with a consistent and unified brand voice to create one-to-one relationships with every visitor on your site. Add a touch of home to every visitor’s experience. Capitalize on local marketing efforts and reinforce local loyalty by delivering unified geo-targeted messages across marketing channels. Laser-focused targeting rules make it easy to segment your audience by behavioral patterns and serve every visitor personalized messaging. Encourage higher average order values with additional complementary products using strategic cross-selling messaging and prompts. Reach your audience even after they leave your website. With push notifications you can send off-site announcements, offers, and messages. Dive into our related resources to discover tips and tricks that will help you to optimize your mobile promotions. Learn how Snow Monkey, a vegan ice cream retailer, used a geo-targeted email campaign to maximize revenue from paid ads with UTM parameters.